HONG KONG — To watch the court proceedings, to hear the lawyers’ objections, to sit through the delays and the quibbles and the endless parsing of words, it’s enough to make a good number of Cambodians want to simply unshackle the prisoners and set them free. Game over. But these prisoners — they’re just three arrogant old men now — had once been the most senior leaders of the Khmer Rouge, the ruthless Communist regime that killed 1.7 million Cambodians. The court’s raison d’etre now seems to spin less and less around the horrors the men perpetrated and how much prison time they should serve; more to the point is how they are being judged by the United Nations-backed war crimes tribunal in Phnom Penh. Mark Peters/Extraordinary Chambers in the Courts of Cambodia, via Associated PressNuon Chea, left, Ieng Sary, center, and Khieu Samphan. There has been an explosion of frustration over the tribunal in recent days, ever since another international investigating judge tendered his resignation. Laurent Kaspar-Ansermet of Switzerland said the court is now “dysfunctional,” riven with petty intrigues and a carrying a political taint that keeps it from investigating well-documented crimes of well-known Khmer Rouge alumni who are living openly and freely in Cambodia. Mr. Kaspar-Ansemet complained, for example, that a Cambodian fellow judge, You Bunleng, had questioned his authority and had blocked his access to cars and drivers. He said he would not let him use the court’s official seal to stamp legal documents. His resignation statement is here,although he was still at work on Tuesday. Despite tens of millions of dollars in international funding — Australia kicked in an additional $1.7 million on Monday — the tribunal has convicted only one person so far, the former prison warden known as Duch. His prison sentence was recently extended to a life term, even as he testifies in alarming detail against his three former superiors — Nuon Chea, Ieng Sary and Khieu Samphan. Video of his courtroom testimony, with good English translations, can be watched here. What is Khmer Soul? Could we call Khmer Soul as Khmer Conscience or Khmer Mentality? Why we need to reconfigure the Khmer Soul? Khmer Soul has been damaging, changing or developing? The seminar on 17 March 2012 is part of the questions asking above which need answer and extensive researches on it. Please, spend some time to take a look at the photos taken from the scene of the Seminar and listen to the audio originally recorded at the Seminar. Your engagement and participation is invaluable! You are cordially invited to this very important seminar on “Configuration of Khmer Soul”. The main purpose here is not about recollecting of typical Khmer soul rituals as believed and practiced by Khmer people, the seminar aims to elaborate on the Khmer Soul of Race/Nationality, Khmer Soul of Culture/Tradition/Costume/Buddhism, Khmer Soul of Social Affair, Khmer Soul of Economic, and Khmer Soul of Politic. There is a part of your engagement by multi-choice questionnaires and input space of your thoughts and suggestions. Don’t miss it, if you can not physically attend this Seminar, you can log into paltalk and enter into room named “CanCambodia”. 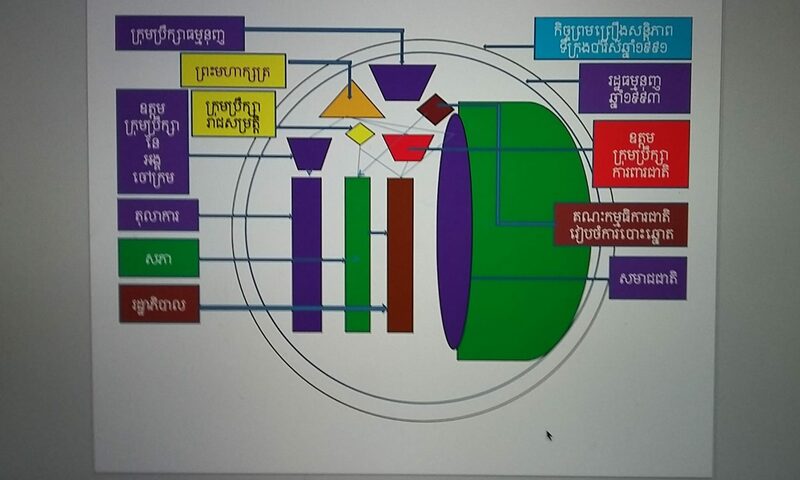 Does education sector in Cambodia pollute by the politics? 14.Publication of information that could influence stocks.